Car insurance in association with GoCompare. CALL 1800 945952 for our best car insurance quotes. Call 1800 945952 and drive yourself a great deal. We’re delighted to be working in association with GoCompare to help Irish drivers steer themselves to a great car insurance deal. You can call our team in Dublin to discuss a wide range of cover options for – or click here to request a call back. Third party only (TPO) to Comprehensive car insurance. Courtesy car if your vehicle is stolen, written-off or not roadworthy following a claim. European touring – up to 90 days “Green card” included as standard. What’s more every policy includes up to €100,000 legal expenses cover. This can be used to help recover your unisured losses should you be in an accident that is not your fault. Recoverable losses can include earnings, your car insurance policy excess and compensation for any injuries you may have suffered. * Please ask for details of the insurers we use to compare car insurance quotes. ** Principal Insurance serves over 40,000 policyholders across the UK and Ireland. Cover options and benefits subject to meeting underwriting criteria. Up to €100,000 legal expenses covered in the event of an accident that wasn’t your fault. * Benefits dependent on cover chosen. Limits and exclusions apply. Please ask for details when getting your car insurance quote. * Cover available subject to satisfying underwriting conditions. Please ask when getting your car insurance quotation. An independent broker, we source our quotes from the ROI’s leading specialist insurers. With no call length targets, our experts take the time to find you our best deal. We're here to help – with dedicated claims and customer service support. 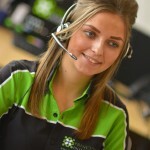 Our freephone quotes hotline open weekdays 8.30am-6.30pm and Saturdays 10am-2pm.